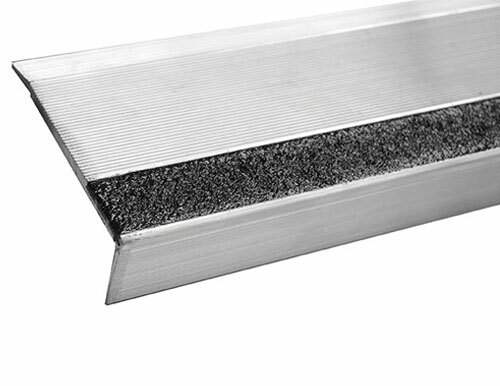 Sure-Foot Industries’ BOLD STEP® aluminum extrusions are a permanent attractive solution. 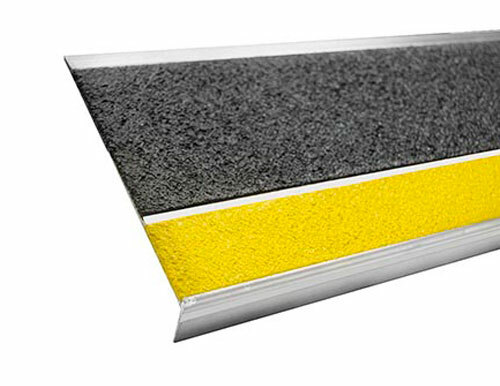 Ideal for use on interior or exterior steps and landings. 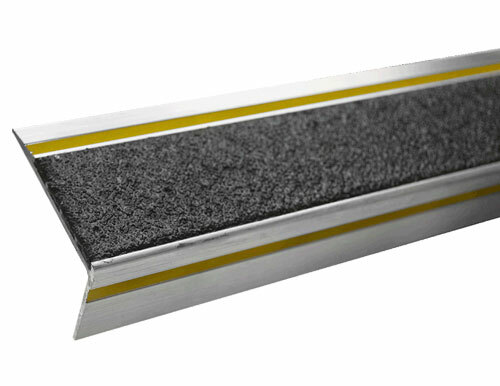 Our superior BOLD STEP® coating system resists chips, dirt, scratches and oil unlike open cell porous products. 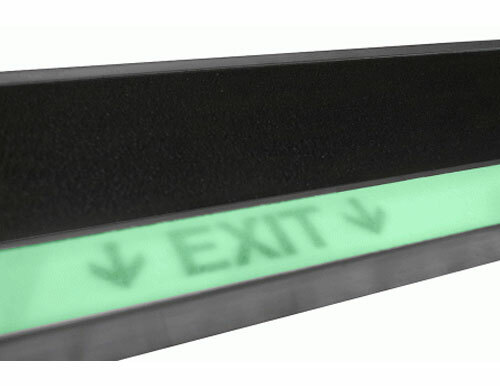 Customize our extrusions to give a distinct look and feel to match the overall design for your building. 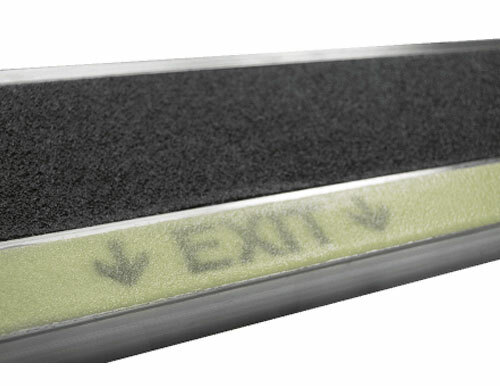 Our wide range of non-slip stair treads function as a permanent solution to enhance the safety and attractiveness of any commercial property.